Spring 2019 registration is now Open! Each camp has limited spots available and most sold out last spring. Be sure to get registered soon to claim your spot. We provide the highest quality small group basketball player development in the Hershey, West Shore, Chambersburg, and Lancaster area. We offer boys and girls sessions for grades K-12th. 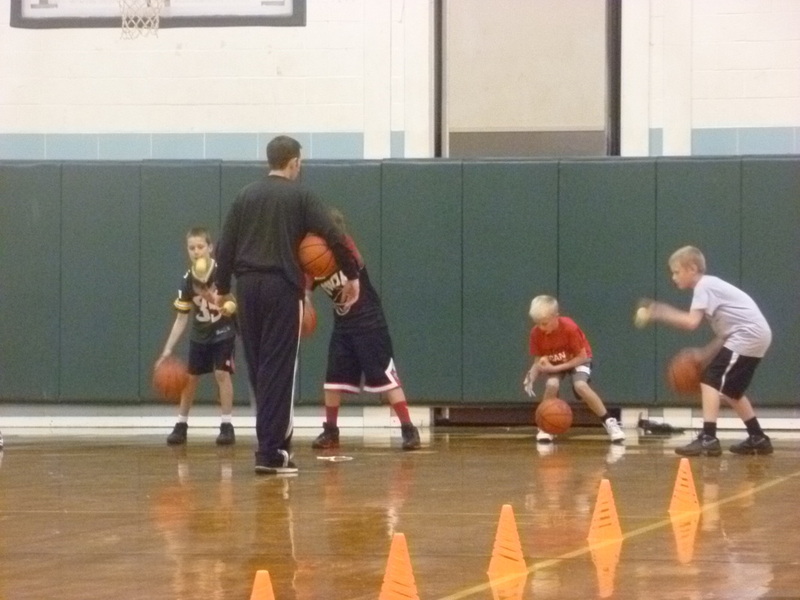 Class sizes are kept low in order to maximize the instruction given to each player. We pride ourselves in offering innovative and progressive ways to improve the individual skills of players. Our staff includes current college coaches from Dickinson, Elizabethtown, Messiah, Wilson, and LVC colleges; as well as several high school coaches from the Central PA area. We focus on skill development, and providing players with everything they need in order to progress to their potential. 1. The Best Instructors: Most of our instructors are current or former College and HS Coaches. Simply put, we have one of the most experienced, knowledgeable and professional staffs that you will find. Most of our instructors have been highly successful coaches who have made careers out of teaching the game the right way, and being able to connect with young players and make them better on and off the court. 2. Small Class Sizes: Unlike other programs, we limit our class sizes to ensure more repetitions and individual attention from the instructors. This really helps to set our programs apart from others. 3. Our coaches focus on Player Development not just skills and drills: Player Development requires understanding how to teach the game through game specific repetition, not just conducting drills. Anyone can make you sweat. Our coaches teach, train, develop skills that translate, and make players better. "The basketball middle class has taken a hit as skill development continues to fall and the amount of games high school players play in the off season increases" click for full article. "On average, players get 13 shots/hour in open gym (5v5) play. That's not enough! Players need to make time to work on their game & get up shots." Tweet from Drew Hanlen, NBA skills instructor.